5700 'CO' monitor is CSA Certified for Class1, Div. I, Groups A, B, C and D locations when utilizing 9 volt batteries. 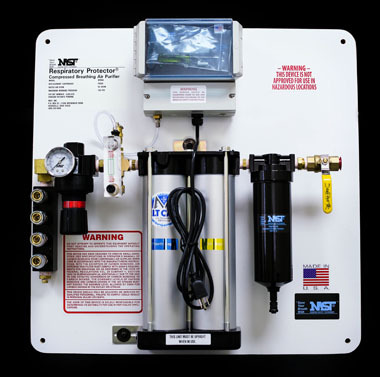 MST's RP Series offer a Low Temperature Catalyst thats converts CO to carbon dioxide helping to provide safe air without the use of expensive desiccant dryers. Making our systems one of the most cost effective and efficient systems on the market today. Others have tried but have yet to make a CO removal system that can compete with the quality and efficiency of the MST Respiratory Protector Series®. 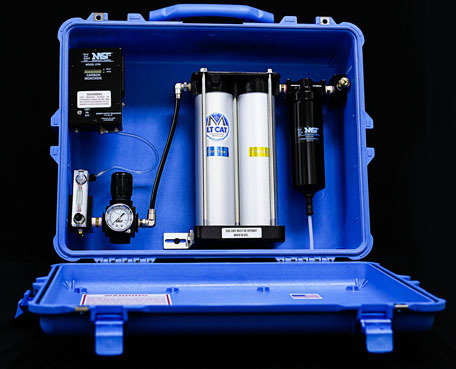 The RP050BMST is the only truly portable CO removal system around. The rugged heavy duty case provides protection from the elements and the extra freedom to move from job to job. The RP050 panel mounted systems are available with the MST 5700 CO monitor or the MST 2002 CO monitor. These single outlet systems can be mounted and piped to the workers location. Various accessories are available to assist in helping provide the safest environment for the worker. MST also offers additional panel mounted systems from 100 to 1000 scfm. 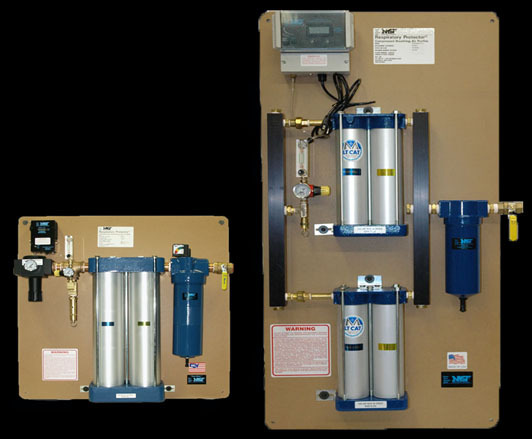 All CO removal systems come standard with the 5700 CO monitor or the 2002 CO monitor.